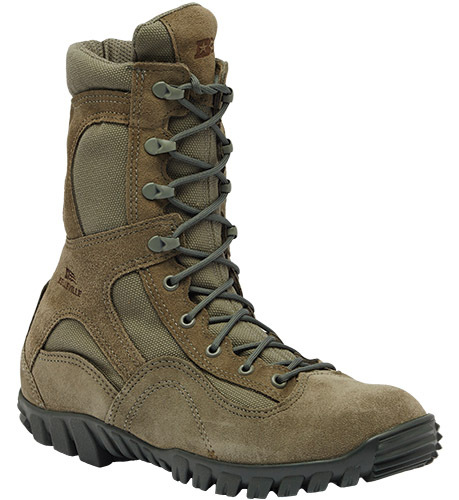 The Belleville 693 Men's Sabre Sage Green Waterproof Assault Boot was designed for Airmen looking for a lightweight tactical boot versus a traditional combat boot. High quality cowhide suede and ballistic nylon improves durability to give you years of duty use. This boot features an aggressive tread pattern ideal for professionals engaged in intense physical activities such as running, crawling, rope rappeling, and wall climbing. The Belleville 693 includes a waterproof Gore Tex liner to keep your feet cool and dry while offering excellent breatheability. 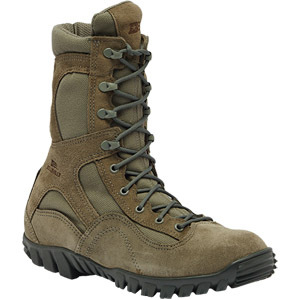 This boot is approved for wear with the Airman Battle Uniform and is made in the USA.